IFA 2013 hasn’t kicked off yet in Berlin, but we’re already seeing some great new technology being announced. The buzzword this year is Ultra HD and 4K resolution, which is finally going mobile. Sony, HTC and Samsung are all set to launch new flagships of the phablet variety, because y’know, any smartphone with a screen size smaller than 4.5 inches is too mainstream. 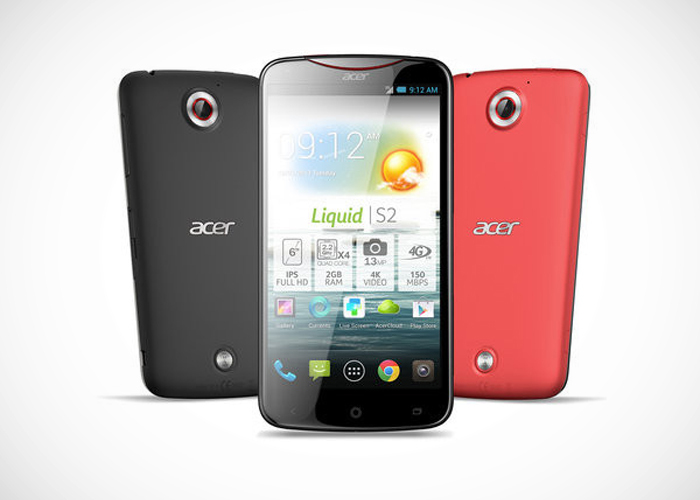 We’re pretty sure that the upcoming Sony Xperia Z1, Samsung Galaxy Note 3 and HTC One Max will launch with some 4K resolution capabilities, but for now, Acer has launched the first smartphone capable of 4K video recording, the Liquid S2. Here’s the specs and features of the world first! Recommended: LCD vs LED Screens – What’s the Difference? Ultra HD televisions are just making their way into households, so if you’re one of the few who has or is planning to buy one, the Liquid S2 should compensate for the lack of actual 4K content. For the uninitiated, 4K resolution is basically four times the current full HD or 1080P resolution. Needless to say, 4K video recording requires a fair bit of processing power, so the Liquid S2 packs in the best internals available today. Design wise it’s not too inspiring and size wise it’s similar to the humongous Sony Xperia Z Ultra, which is good or bad depending on how large you like your phones. The Acer Liquid S2 is capable of recording 4K resolution video at 30 FPS, if you’re looking for 60 FPS, the maximum resolution is 1080P. The generous amount of expandable storage at 128 GB should come in handy because of huge 4K resolution video sizes and so will the 3300 mAh battery. It’s slightly disappointing to see that the Liquid S2 has got the best of pretty much everything yet sticks with an older Android version though. Expect to see it hit stores in Europe by the end of October, there’s no world on global release or price yet however. Only once it’s got some competition with the inevitable launches of new flagships this IFA can we actually judge it, so until then, your thoughts?